Boiler repairs– they're something no homeowner wants to face but almost every one will. To make the process easier, all you have to do is have a reliable Horsham, PA heating contractor already lined up. For most locals, the name to trust in is Fisher Mechanical Inc. and has been since we first launched our business in 1960. That's because aside from skilled workmanship we are available to our customers 27/7 at no additional charge, because you shouldn't be punished for having a heating repair emergency. 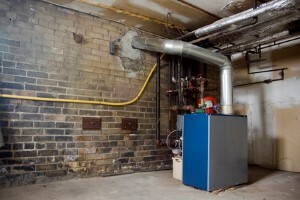 Will You Be Able to Identify A Boiler Repair? Your boiler is one of those features of your home you probably don't even think about until something goes wrong. So what are some common repairs that tend to creep up? If you notice any type of change in your system you need to get service immediately, in order to prevent repair needs from developing into replacement needs.